The people who lived in the house before us had planted Bergenias (affectionately known as “Elephant Ears”) in the border by the house in the front garden. The soil here is heavy clay, faces north, never gets any direct sun, is in a rain shadow on three sides and yet they’re doing very well. They flower at odd times – usually around late-winter and early spring with delicate-looking bright pink flowers that stand out against the dark evergreen leaves. They are ground cover plants and the leaves grow out from very thick horizontal running “stems”. 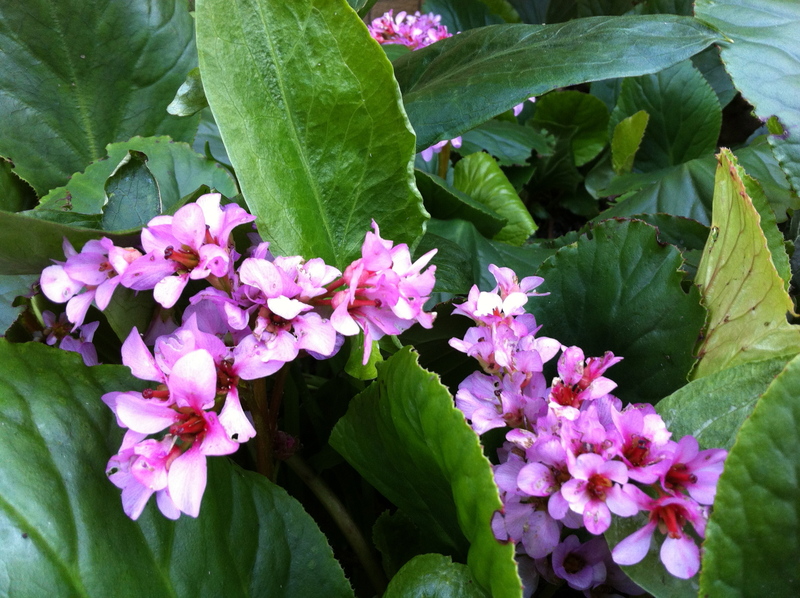 The trouble is that as the bergenias grow, the stems get gradually longer and the plant creeps forward. 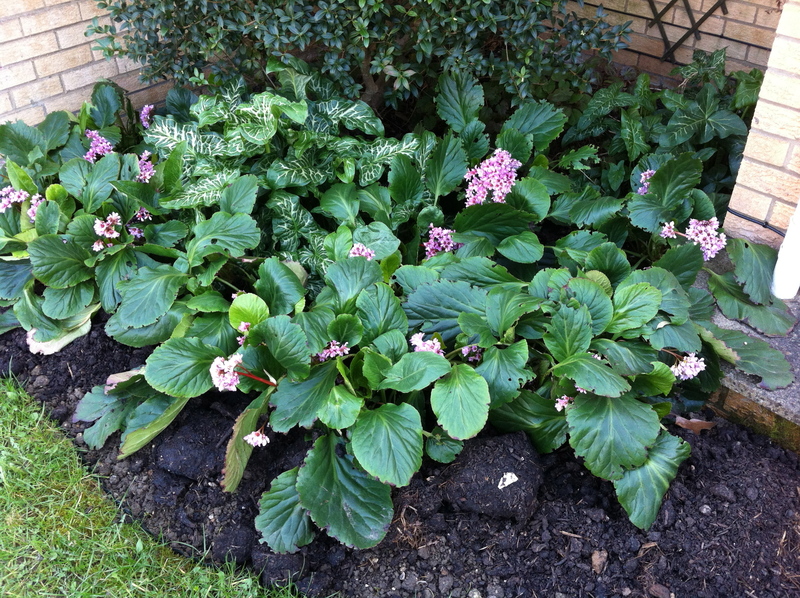 Put many bergenias together and the whole border begins creeping forward. This is actually starting to become a problem. Since I first started with the garden a few years a ago, the bergenias have inched forward and advanced by about a foot. The border itself has had to be extended twice as they come onto, cover and so kill the grass under them. I’ve extended the border one last time and that’s given me another couple of years to come up with an answer. Get hold Of The Stem Twist And Pull Off, Thin Them Out And They Will produce New Flower And Growth In The Spring. Very Hardy Plant You Wont Upset It! Hello Chris, thanks for the tip! I didn’t know you could do this. I’ll give it a go when I get a chance.